"How can we say what was once unsayable and then learn to see beyond it? And beyond that seeing, can we dare to move beyond it—and live on our own terms? Rage Hezekiah’s Unslakable takes up this challenge with fierce compassion and a vital, human grace born of having lived and witnessed—and then gone farther. In that way, we can read the title, Unslakable, at once as description, challenge, and difficult desire. “First/you teach the child/what it is to drown/so she’ll know/to save herself” writes Hezekiah. These poems embody the process of walking with the strange weight of history – both personal and cultural – but these poems also carry us through the process of opening ourselves to self-love. Hezekiah’s courageous and thoughtful voice invites us all to rethink those big yet intimate issues: family legacy, sexuality, identity, and power. More than just response, reaction, or counterpoise, Unslakable claims and creates new space for the strength of one woman of color’s body – and vision – and spirit – in our world." "Startling and brutal in its clarity, Unslakable takes on multiple violences lived in an individual body – the trauma of a childhood with an alcoholic parent, the intergenerational inheritance of slavery and racism, the echo of every heartbreak. This is a collection brimming with quiet, the kind of raucous quiet full of unspoken things. Hezekiah's poems don't look away from painful memories, instead facing them head-on with unremitting tenderness. No detail is spared, these concise poems shake with emotion, insisting on naming the past and thereby carving a future, “punishing the silence of no one to blame.” In her poems, sharp-angled pain and hard-won human wisdom are held alongside the barbed beauty of the natural world: gardens of memory, birth and decay, the ocean as ever-present witness of a life lived by the water. In these poems are friendship, lovers, science, anatomy, longing, resilience, and “history's/ detritus.” And, above all, desire, the unslakable, liberatory desire of a poet laying claim to the agony and beauty of a life, and telling us “I want it all for as long as it will last." Rage Hezekiah is a New England based poet and educator, who earned her MFA from Emerson College. She has received fellowships from Cave Canem, The MacDowell Colony, and The Ragdale Foundation, and is a recipient of the Saint Botolph Foundation's Emerging Artists Award. Her debut full-length collection, Stray Harbor (Finishing Line Press) is forthcoming in 2019. "Anderson possesses a sniper’s eye for detail, filling his poems with taut, after-the-shot tension, which is not a feeling one expects in the parade of neighborhood tales through which he explores the ubiquitous political nature of families or the constantly morphing lessons of loss. Which is not to say this is a collection of haunting dread. 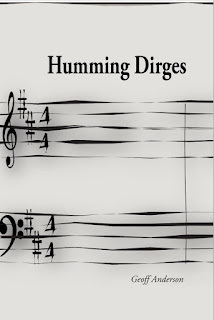 There is a joy that moors the reader throughout, making Humming Dirges a collection of art that sorely wants to pick up the pieces it breaks off of you. In Anderson’s world the challenge isn’t simply that nothing is as it at appears, but that there is a lesson in every inch of each tale, even the puzzles missing pieces. 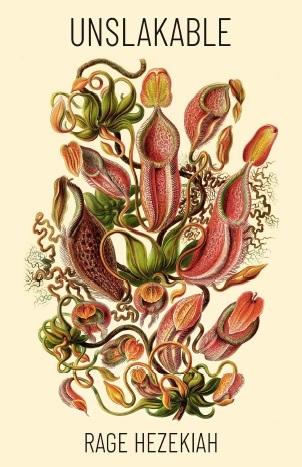 Each of the poems presented in Humming Dirges bends to Anderson’s effortless strength at making any seemingly innocent moment turn on a dramatic, sometimes horrible dime. Simply put, Anderson possesses one of the surest, most steady hands I’ve seen commit an act of modern poetry." "Geoff Anderson makes perfect poems. 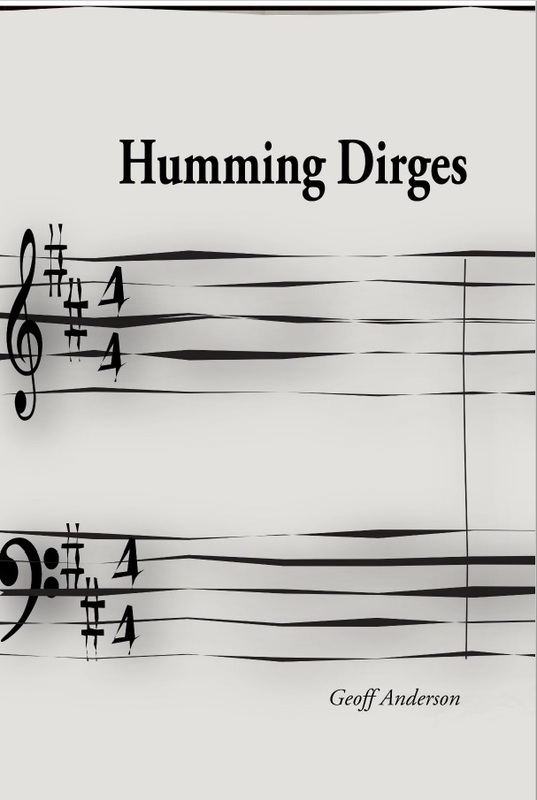 Emotionally-complicated and precisely-wrought, with images so sharp they might cut you open with their textures, the poems in Anderson’s Humming Dirges gift readers with an inside view of a family as it functions with the outside world and within itself. That is to say, Anderson uses the complexities of family to create a sometimes-uncomfortably accurate portrait of the society in which that family exists. And he’ll draw you in and make you one of his own for as long as the book lasts." "These poems view the world with a keen reflective eye. They challenge us to rethink what we've assumed about ethnicity, about loss, about history--the histories we're taught and the histories we live. With artful subtlety, Geoff leaves something distinctly other in the reader's view: Other than common, other than black, than white, than pretense. Frank and delicious." 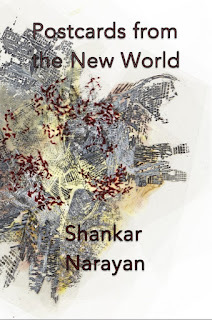 Shankar Narayan's "Postcards from the New World"
"These poems are wholly original and loaded with compassion, intellect, and lyric interrogation. 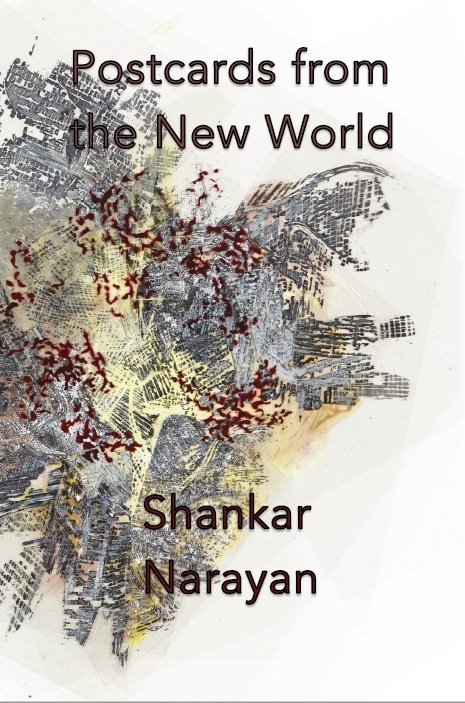 Shankar Narayan’s Postcards from the New World explores proximity, intimacy, identity, violence, and diaspora with a knowing, prophetic allure. I love these poems for their epistemological underpinnings and their graceful invention. Gorgeous surprises fuel this wonderful debut. Fiercely talented and equally humane, Narayan is one of my favorite new poets." 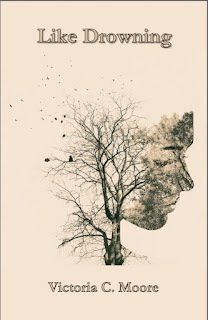 "These poems meditate on connection and dissolution, construction and deconstruction, selves and societies. In a violent historical moment, when rupture and brokenness (the breaking of bodies and the breaking of the word) are so evident, these poems announce a belief that there is (there has to be) some good, some light from a new sun. Narayan writes that “Entanglement means/what happens to you happens/to me,” not just as cosmic fact but as an ethical binding of various selves—the constructed energies of the speaker (abused by the world, consumed by idealism), the inherited and problematic threads of the world (traditions as tethers to a faraway land, the violent and virulent racism of America). 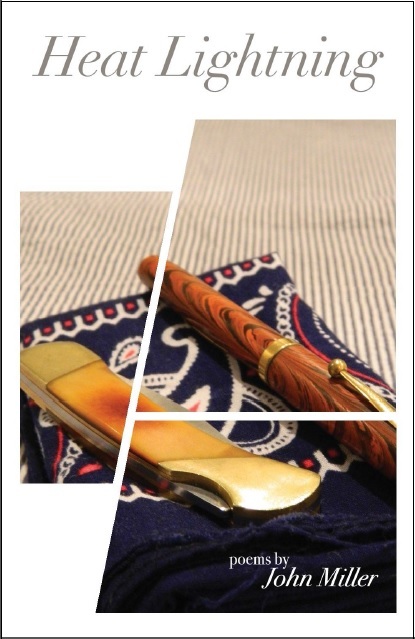 In a song driven by words from our moment, Narayan has given us a compelling series of poems that will be worthy of rereading." 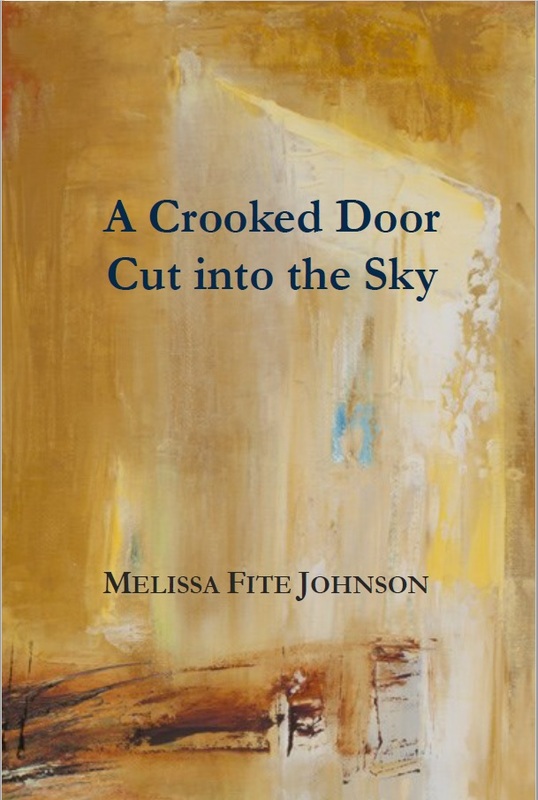 Melissa Fite Johnson's "A Crooked Door Cut into the Sky"
"A Crooked Door Cut into the Sky is shot through with loss, with the ways our bodies fail us, and with what we can’t—or don’t say. 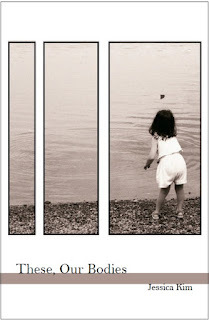 The speakers are daughters, wives, not-mothers, and they occupy domestic spaces in which “nothing is missing.” Indeed, everything is present in Melissa Fite Johnson’s elegiac collection, even the empty spaces: a remembered father, the children not to be born, the past that is at once long-gone and not gone at all." “Melissa Fite Johnson’s A Crooked Door Cut into the Sky is like a poetry photo album where poems appear like perfect snapshots of a life being lived. Johnson’s poems question “what it means to be human”—what we hold onto and what we let go. The narrative beauty of these poems lead us into a garden where branches “quilt patterns into the sky”—the possibility of becoming a parent and the experience of losing one. This chapbook grounds us in the past and present and connects the two worlds—leaving me thankful for this poet who opens the door for us to walk into her poems and join her. Jessica Kim's "These, Our Bodies"
say i’m still here, say it again."